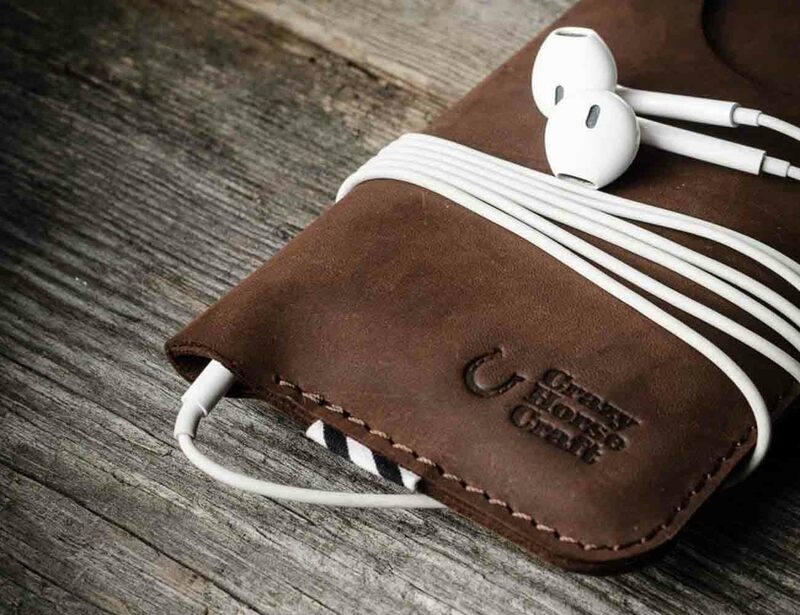 Protect your phone without compromising style with the Vintage Leather iPhone Sleeve by CrazyHorse. 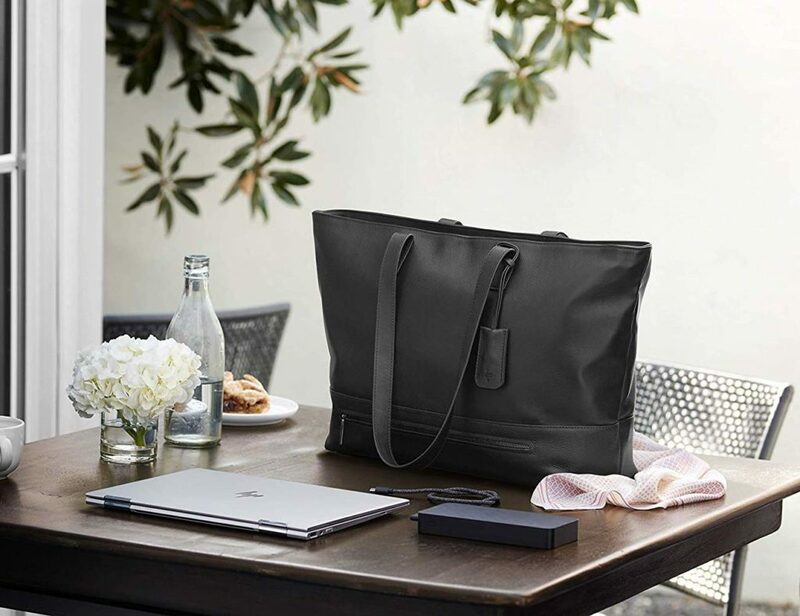 Handmade to perfection, this sleeve features fine, luxurious leather on the exterior complete with visible stitching. 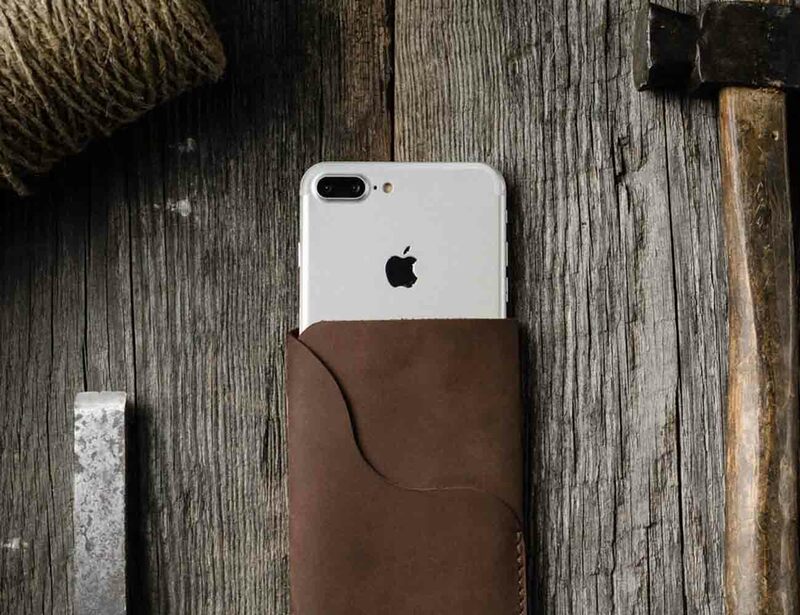 In line with the vintage feel, the Leather iPhone Sleeve has an interior pocket made of super soft wool which automatically cushions the phone and wipes it clean each time it’s removed. 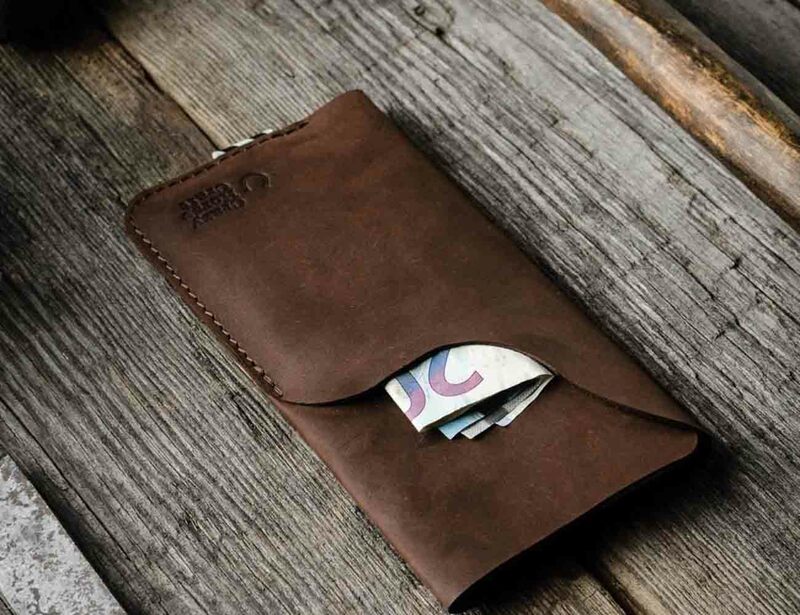 Concealed on the front is a thin pocket between the wool and leather to conveniently stash your cards and cash. 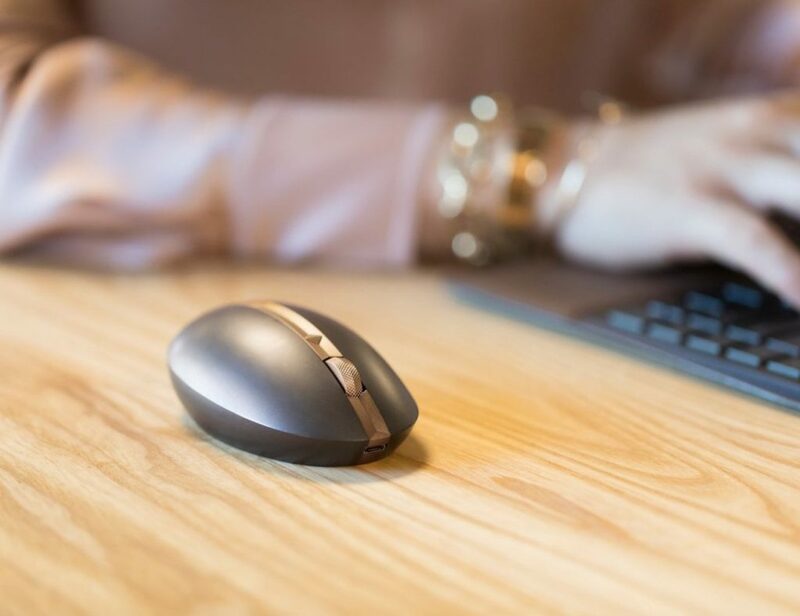 The Leather iPhone Sleeve remains slim despite the generous storage while also offering unbeatable protection. 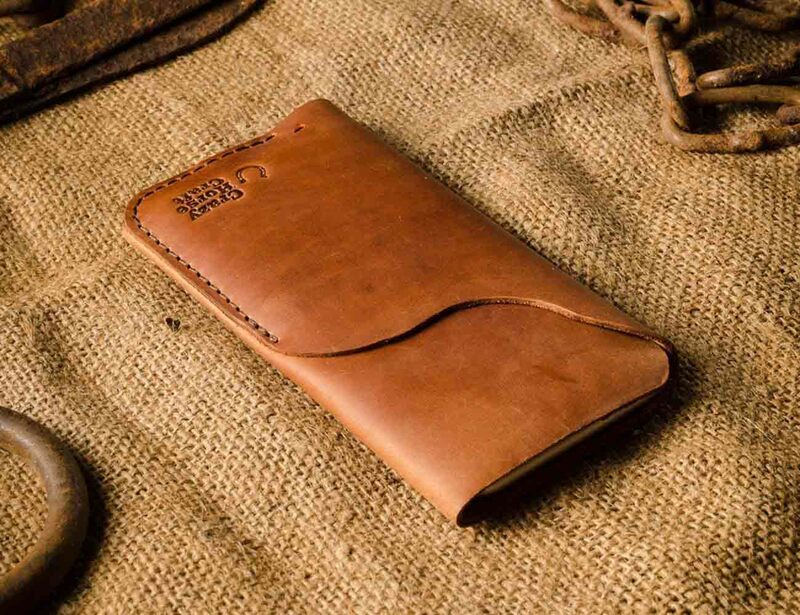 Available in sizes for each model since the iPhone 4, the natural leather of the Leather iPhone Sleeve will age over time to increase the vintage feel.